Southern Racing Motorcycles is a motorcycle shop and repair centre, focused on providing high-quality customer service – we will do everything we can to meet your expectations. We sell New and Secondhand Motorcycles, Parts and Accessories for your every need. We stock Parts & Accessories for the On-Road and Off-Road Enthusiast. With a variety of offerings to choose from, we’re sure you’ll be happy working with us. Look around our website and if you have any queries please do not hesitate to contact us. Great place, I have been bringing​ my bikes here since I learned to drive 20 years ago, Barry the co owner is also an engineer/fabricator so if it can’t be got, he can fix it. They are good on price, have always looked after me well. Do remember, this guy does it properly so you have to pay for what you get and you get what you pay for. If you want cheaper, you might get it elsewhere​, but you won’t get the quality and service and Barry’s attention to detail and having things right. Ingrid his wife and co owner is great at getting parts, gear and clothing. She really wants you to go out there safely and goes to every length to ensure that what you walk out in, fits properly and is to the highest safety standards. There is no junk or messing here. Their price on Helmets and jackets are very good too. Remember if your head is only worth €40 aldi do helmets, but I buy mine here. I prefer to shop here and get my bike sorted here. Thank you for reading. 5 stars Barry and Ingrid, keep it up. You can always depend on SRM. I know I can leave the bike for service and SRM will do their best. I found them very straight and to the point in what I needed to get done and the price was very reasonable. 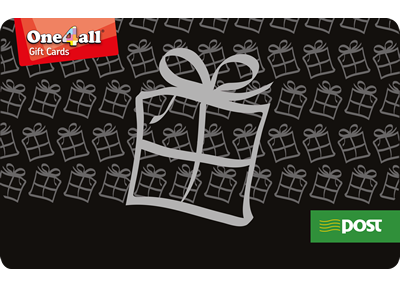 Now accepting One4All gift cards at our store!